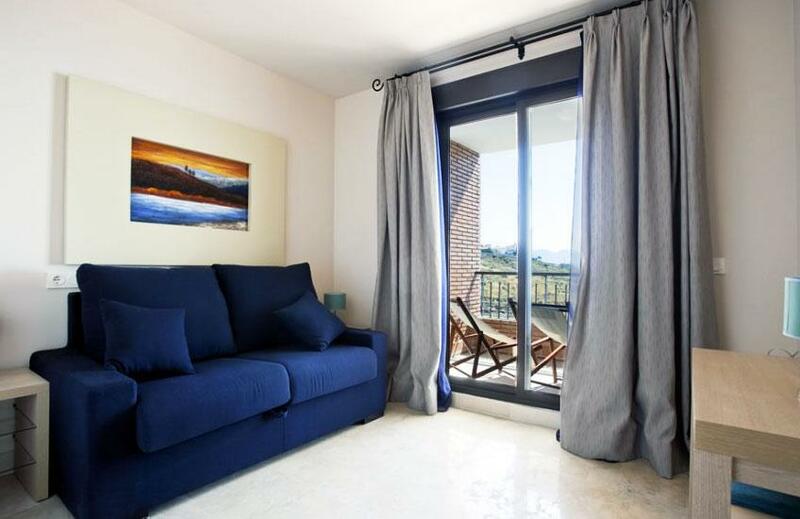 The luxury Olée Nerja Holiday Rentals apartments are located in an excellent setting between the towns of Nerja and Torrox, placed on a hill above the shores of the Mediterranean coast in the province of Malaga. This particular setting will make you enjoy a pleasant and relaxing stay with wonderful sea views, accompanied by the best climate in Europe, in a closed perimeter. Within the grounds feature beautiful illuminated gardens with native plants, large swimming pools equipped with toilets and changing rooms and large areas of sun loungers to truly enjoy the sensational climate. The complex islocated 500 meters from the beach, although there is a small cove in about 200 meters distance. 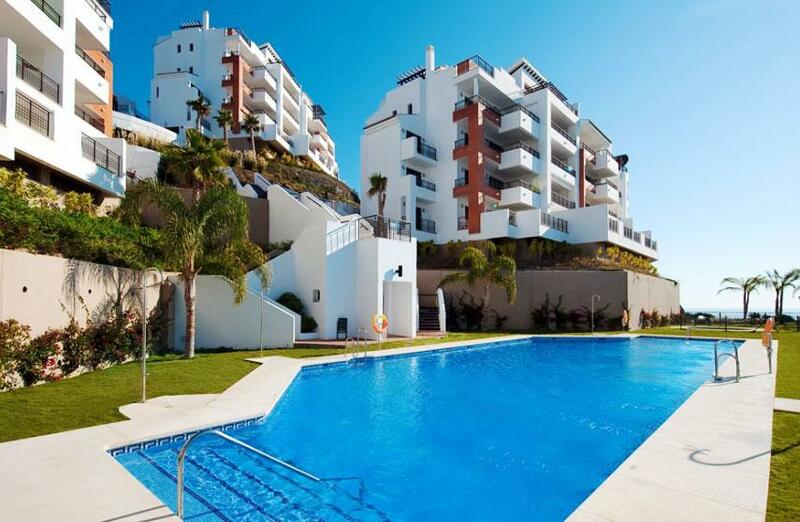 The nearest town is Torrox-Costa situated 2.5 kms away. Just about 15 kms away is located the commercial centre ElIngenio on the outskirts of Velez-Malaga and in the same town about 17 kms from the apartments we can also find a hospital. 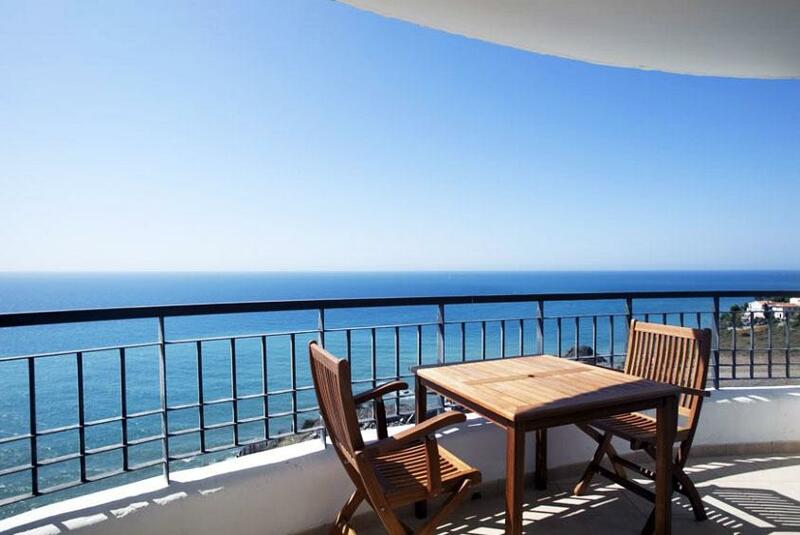 Olée Nerja Holiday Rentals apartments is situated at a distance of 54 kms from Malaga airport. - Extra bed (on request). - Kitchen with microwave, oven, dishwasher, washing machine, dryer, etc. - Television (flat screen), Satellite, DVD and remote control. - Terrace (Balcony only in 3-bedroom apartments). - Internet connection (Wi-Fi) in buildings 1, 2 and 3 (with charge). - Opening hours: Monday to Sunday from 10 am to 7 pm. - Languages: English, Spanish, French and German. - Credit cards accepted: American Express, Visa, MasterCard and Eurocard. There are two swimming pools for adults and two for children. Sunbeds and sunshades are offered free of charge. On the beach are also available loungers and parasols on payment. - Cleaning: Every four days, except kitchen (optional additional cleaning with charge). - Change of bed linen and towels: every four days. - Cot and high chair rental: 4 Euros / day. - Wi-Fi: In buildings 1, 2 and 3 with charge. - Parking (3.21 Euros / day). - Ramps for disabled people. - Pets allowed (dogs and cats). - Voltage in apartments: 220.